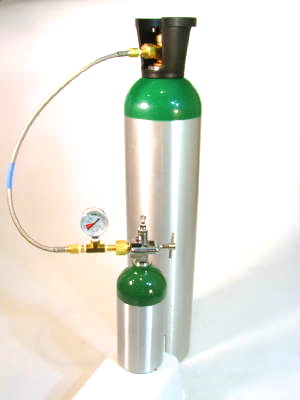 Fill standard cylinders from a Homefill II System or from oxygen storage tanks. We build adapters for any application so call us if you do not see exactly what you need. 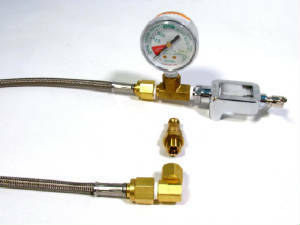 The "Check Valve" is the brass plug that connects to the Homefill Compressor. 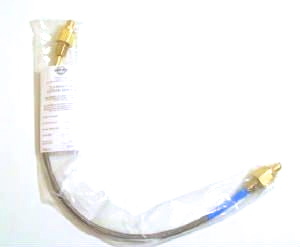 This oxygen transfill hose will allow you to fill standard cylinders from your Invacare Homefill compressor. Purchase adapter with or without valve below. A 9/16 to 1/4 adapter is needed for some check valves to make the connection to the Transfill Hose Assembly. 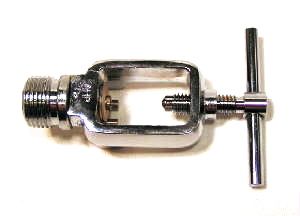 The valves were manufactured in two different sizes. If you are not sure, please call us to verify. 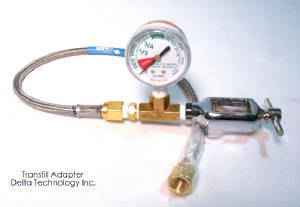 The high-pressure brass adapter is an additional $25. 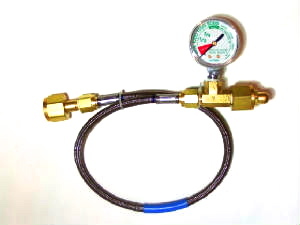 This oxygen transfill hose will allow you to fill standard cylinders from your Invacare Homefill compressor. Check valve not included. This oxygen transfill hose will allow you to fill standard cylinders from your DeVilbiss iFill. Check valve is not included with this assembly. 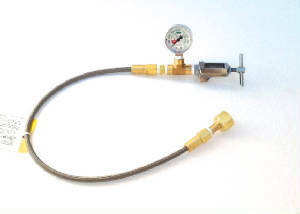 This oxygen transfill hose will allow you to fill oxygen cylinders with CGA-540 valve from an oxygen storage tank.